Are you looking for a place to worship on Sunday morning? Are you looking for a place to Connect to God, Grow in Faith, and Serve the World? If so, Trinity has a place for you. We are a United Methodist Church located in the West End of Henrico County in Richmond, Va. Our address is 903 Forest Ave.
We have three worship services each Sunday morning: 8:15 AM (traditional), 9:30 AM (modern), and 11:00 AM (traditional). We also have a weekly communion service in the Chapel on Wednesdays at 12:30 PM. We invite you to enjoy fellowship time in the Welcome Center between our Sunday services each week. There you can enjoy a cup of coffee or lemonade, find information for upcoming events, and be greeted by some of our members—look especially for the yellow lanyards! 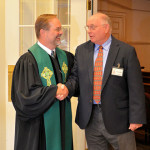 changed while changing the world.” We invite you to journey with us as we Connect to God, Grow in our faith, and Serve others. If you are looking for a church home, we hope that you will find it here at Trinity. As a large, West End church we have programs for all age. 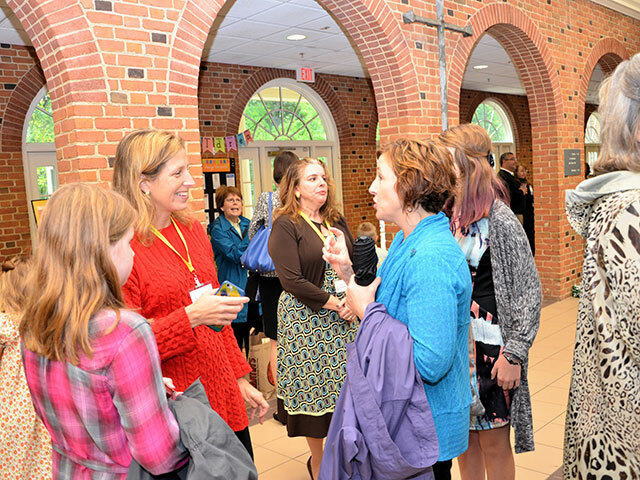 We offer programs for children, youth, and adults. Our staff is here to help you. Our church office is open from 8 AM- 4 PM each weekday. Our building has many entrances. 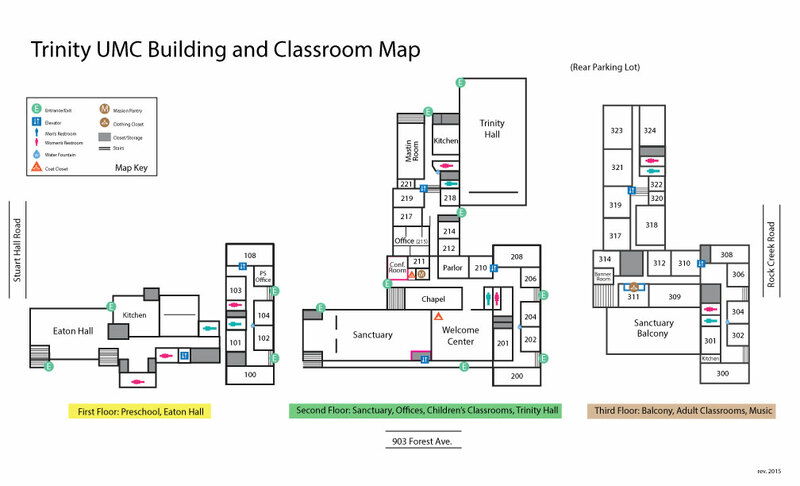 You can find our building map here to help you. Visit our calendar for a detailed look at our programs and activities. 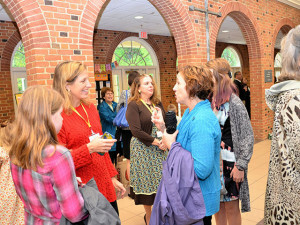 Keep up-to-date with what’s going on at Trinity by visiting our News & Info page and by subscribing to our weekly email newsletter, The Connection. 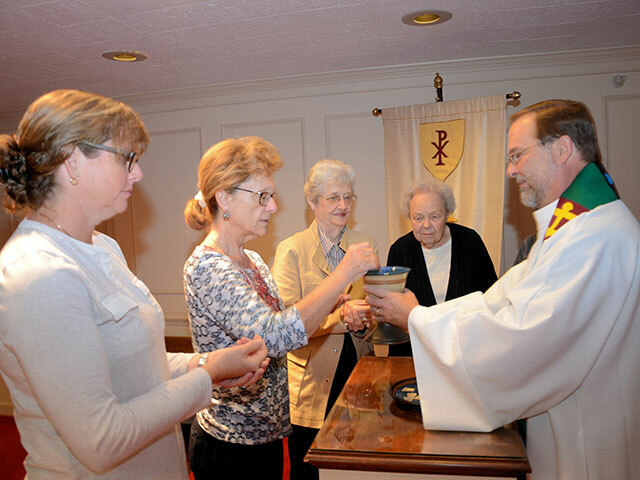 Trinity offers the sacrament of Communion (Eucharist) on the first Sunday of every month, every Wednesday at 12:30 PM in the Chapel, and on special Holy days of the Christian Calendar. 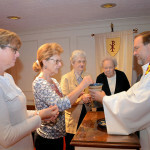 Communion is open to all regardless of age or church membership. During Communion, Trinity offers the option of gluten-free bread for those with allergies or special dietary needs. 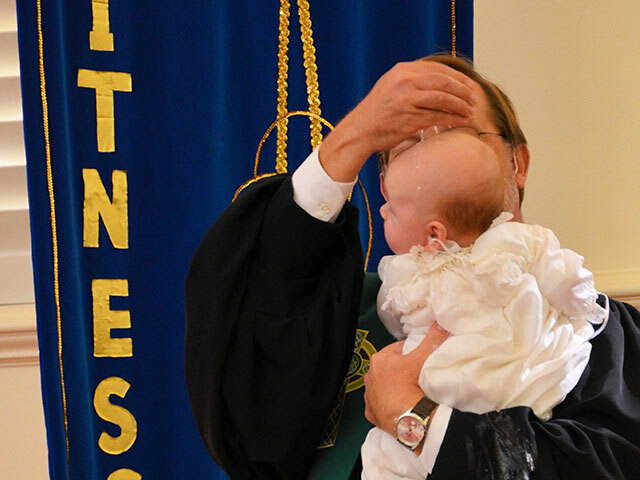 The United Methodist church baptizes persons of any age. For those who are able to speak for themselves, anyone who repents of his or her sin, and seeks to follow Jesus as Lord and Savior may be baptized. For infants and children who are unable to speak for themselves, at least one parent or other guardian who professes faith in Christ should be present. For infants and young children, the parent(s) take vows on behalf of the child, which vows the child agrees to at his or her confirmation. 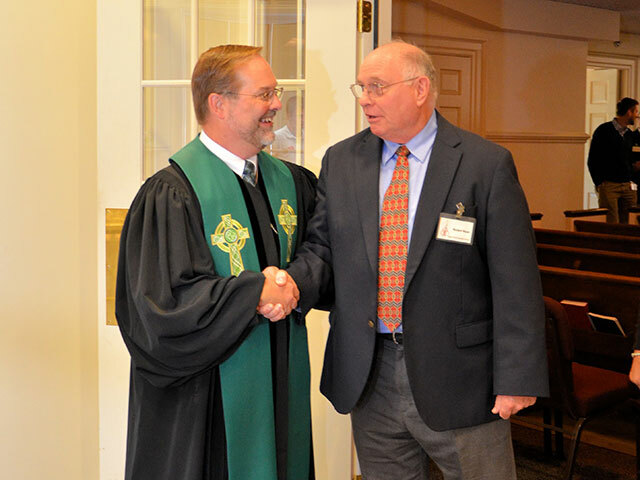 For more information on baptisms at Trinity, please email pcadden@trinityumc.net. How do I go about becoming a member of Trinity? Please contact Rev. Drew Willson, Associate Pastor, if you are interested in joining Trinity, or simply check “Wish to Join” and provide your contact information on the friendship pad in the pew on Sunday morning, and Drew will be happy to contact you. Does Trinity provide a mid-week program? Every Wednesday evening we have “Wednesday Fellowship Night” (WFN) dinner that is served from 5:30 p.m. until 6:30 p.m. Come and join your church family on Wednesday night. Adults are $8.50, Seniors are $6.50, & Children are $4.00. Family maximum is $25.00. We have a comprehensive music program with age-specific activities. 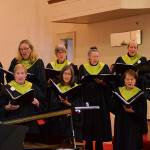 Music opportunities span worship, performance, instruction, and entertainment. 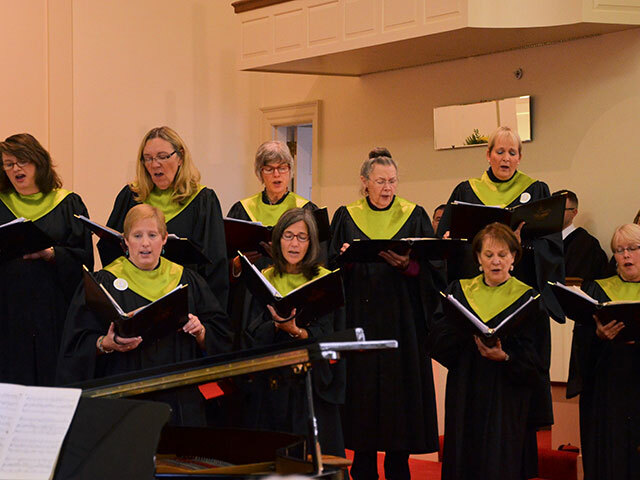 Trinity currently has choirs for persons of all ages. In addition, we have bell choirs, chimes, and an instrumental ensemble. Contact our Director of Music, Charles Staples. For Modern Worship opportunities call the church office: (804)288-6056. Does Trinity have a weekday preschool program? Yes. 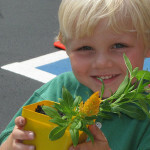 Trinity’s Preschool provides comprehensive programs for children, ages 1 to 5. The Preschool strengthens the family as it helps children grow mentally, emotionally, physically, socially, and spiritually. For more information, click here or contact our Preschool Director, Katie Swartz or our Assistant Preschool Director, Mary Jones at 804-288-6058. What assistance is provided for the physically challenged? We care about those with handicapping conditions. We provide wireless hearing devices, enlarged copies of the worship bulletin, and large-print Bibles. 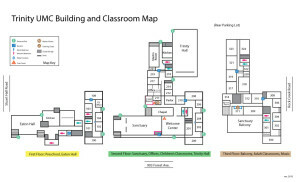 The entire building is equipped to provide access for wheelchairs. We also have a special phone number available for homebound members to use on Sunday morning in order to hear our worship service.